Incidents of fraud are on the rise throughout our community and nation. What is especially concerning is the prevalence of those crimes that viciously prey upon those who are retired and living on fixed incomes. I am actively soliciting your support in curbing this trend. 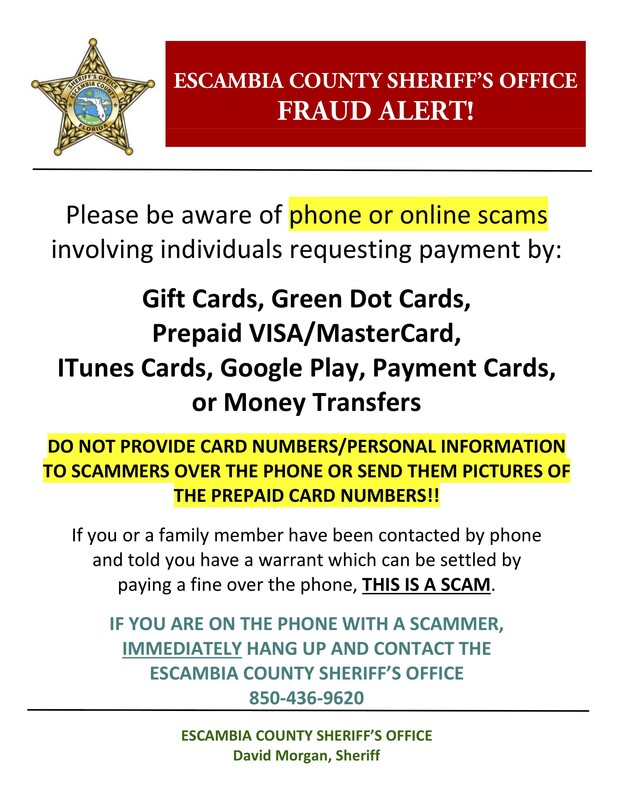 Report fraud, computer crimes and identity theft without delay to the Escambia County Sheriff’s Office, Fraud Investigation Division, (850) 436-9593. Here is a handout created by the Economic Crimes Unit to help citizens report identity theft and tips on how to prevent it.